Racing fans saw a real phenomenon over an eight-day span last week that will be difficult, if not impossible, to repeat. In four Breeders’ Cup Classic prep races, 3-year-olds won them all despite facing older horses for the first time. That’s unheard of because older horses typically are more mature. The winners were Any Given Saturday in the Brooklyn Handicap, Curlin in the Jockey Club Gold Cup, Hard Spun in the Kentucky Cup Classic and Tiago in the Goodwood Handicap. There could have been five. However, Street Sense skipped the Massachusetts Handicap and the Hawthorne Gold Cup to run at Turfway Park, where Hard Spun upset him. Include the 3-year-old filly Rags to Riches, and we might be seeing one of the best generations ever. Plus, they’re all durable. They went through a tough spring campaign, then ran in the Kentucky Derby or Oaks. Street Sense won the Derby. Curlin won the Preakness. 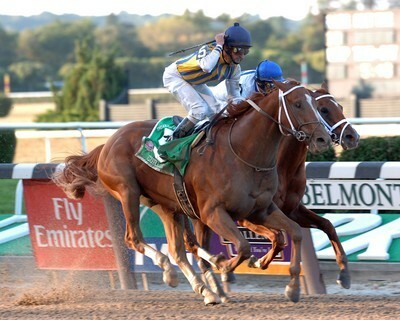 Rags to Riches won the Oaks and the Belmont Stakes. Hard Spun ran well in all three Triple Crown races. Now the fall has brought them an even greater harvest. This is a special group, and watching its exploits is a pleasure. It shoots down the critics who robotically each spring downgrade the 3-year-old class. Rags to Riches is sidelined, so she will not make the Breeders’ Cup Distaff. However, the aforementioned five colts are pointing to the BC Classic. Even if one of them does not win at Monmouth Park in three weeks, that won’t change my opinion. For those who aren’t horse racing fans, a fair sports comparison is the 1983 NFL Draft. That’s when a record six quarterbacks were taken in the first round, including Hall of Famers John Elway, Jim Kelly and Dan Marino. That defines a bumper crop. The comparison also points out a fatal flaw in the sport of horse racing today. While the six QBs all had relatively lengthy, productive NFL careers that the public could follow, it remains to be seen how many of the “super six” horses will race next year. Their popularity, realized from going through the Triple Crown and Breeders’ Cup gantlet, might not be capitalized upon. Long term, that’s bad for the sport. • ROME BURNING WITH PRAISE — The Thoroughbred Times reported popular sports talk show host Jim Rome was effusive in his praise of thoroughbred horse ownership. Rome, through Little Red Feather Racing, is part owner of Wing Forward, which won his U.S. debut last Saturday at Santa Anita. • FALL CLASSIC — If you missed playing in the Fall Classic at the Orleans handicapping tournament, don’t blame me. I reminded you about it last week. Still, stop by the Mardi Gras ballroom Friday or Saturday, and witness the fun for yourself. Richard Eng’s horse racing column is published Friday. He can be reached at rich_eng@hotmail.com.